A major study into the potential of fracking to contaminate drinking water with methane has been published. The British Geological Survey and the Environment Agency have mapped where key aquifers in England and Wales coincide with locations of shale. The research reveals this occurs under nearly half of the area containing the principal natural stores of water. 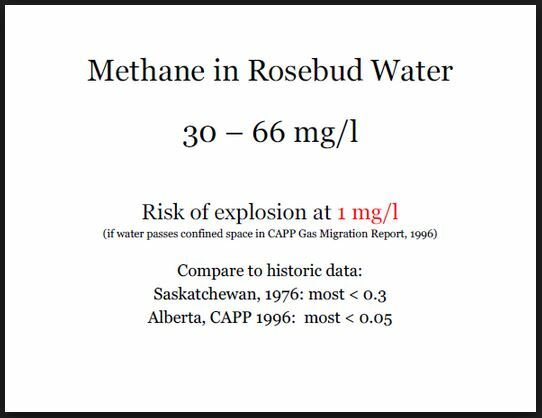 The risk of methane being released into drinking water has long been one of the most sensitive questions over fracking. The study highlights where the rock layers may be too close to the aquifers for fracking to go ahead. 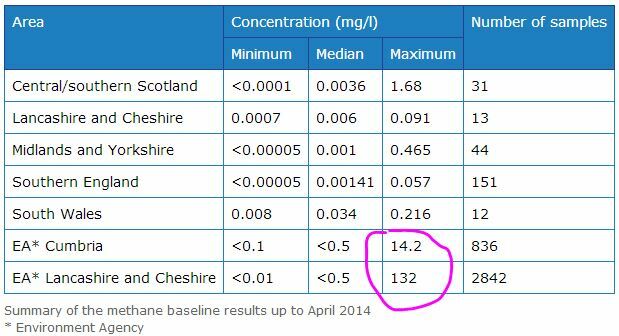 It finds that the Bowland Shale in northern England – the first to be investigated for shale gas potential – runs below no fewer than six major aquifers. However, the study also says that almost all of this geological formation – 92% of it – is at least 800m below the water-bearing rocks. Industry officials have always argued that a separation of that size between a shale layer and an aquifer should make any contamination virtually impossible. They say that wells are sealed with steel and concrete as they pass through water-bearing rocks and that any fissures created by fracking far below would be highly unlikely to spread through hundreds of metres of rock. Aquifers such as the Oolite, which runs from Yorkshire through the East Midlands to the south coast of England, are often in direct contact with a shale layer. Interactive maps showing the relative proximity of shale layers and aquifers are available on the British Geological Survey website. So far, no definitive distance for separation between shale and aquifers has been set but a limit of 400m has been suggested because water from below that depth is rarely considered drinkable. In some areas, shale layers rise closer to the surface – and the assumption is that these would be ruled off-limits. The Environment Agency says it will not allow developments to go ahead if they are too close to supplies of drinking water. Plans for a major Fylde coast fracking site have been given the thumbs down by thousands of residents, according to a campaign group. Friends of the Earth said more than 3,500 people had submitted objections over Cuadrilla’s proposals for the site off Preston New Road near Little Plumpton. The group said a further 1,500 letters of objections had been gathered by the Frack Free Lancashire campaign, which they intend to submit to Lancashire County Council this week. Last month the shale gas company submitted a planning application for permission to drill, frack and test gas flow at up to four wells at Roseacre Wood near Kirkham. The documents are now open to public scrutiny. It followed a similar bid at Preston New Road and both include an environmental impact assessment from consultants Arup. County Hall bosses said they couldn’t confirm an official figure for residents’ objections as not all had been recorded.